You have made a big decision to sell your home. The next most important decision you should make is which brokerage will you trust to market and sell what is for most people their most valuable asset. Who can get you the best price in the shortest time possible? 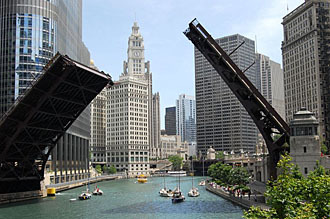 At Streeterville Properties Group we are experts in the condo market in and around the Streeterville area. Our storefront office at 432 East Grand Avenue is nestled in the midst of some of Streeterville’s most predominant high rise condo buildings such as: Lake Point Tower, River East, RiverView, CityView, ParkView, and many more. Our location and visibility give us a BIG advantage in marketing your property and personally conducting all of our showings. We pride ourselves on being experts in the area. Most of our Realtors live in the community or are actively involved in community service in the Streeterville area. Your home is an important investment. Don’t you deserve to work with a brokerage that has a vested interest in the community, an expert comprehensive knowledge of the market and all that this great neighborhood has to offer? Yes! We believe that each client and property is unique and should be approached accordingly. Our goal is to help you reach yours by working with you and providing you with all of the guidance, knowledge, and tools at our disposal. We utilize both traditional and innovative ways to bring more buyers to your property. Please browse the resources provided below to gain some insight to the selling process. We invite you to call for a listing appointment – or even better stop by our beautiful office for coffee and a consultation with one of our experts. Nothing is more important than setting the right asking price for your home. That’s why it’s smart to get the help of an expert with the knowledge and experience to get it right the first time. That’s precisely why we provide our clients with a professional listing presentation at no cost to you and most importantly with no pressure. We’ve all heard it before: Location, Location, Location! The strongest factor in determining your home’s value is its location. Buyers typically ask the same questions such as: the proximity of schools, parks, shopping and transportation. But they are also asking new questions: about the history of the neighborhood, the possibilities of new homes or businesses building in the area and how that might affect the market value of the home, will their view change, or traffic conditions and noise levels at particular times of the day. While these are factors even the greatest team of real estate professionals can’t change, there are ways that market knowledge can be accessed to present positives that offset or overcome the negatives. Timing is important, but most opinions about it being “a good time to sell” or “a good time to buy” are not 100%. Our experts at Streeterville Properties Group sift fact from fiction. We consider the community overall historically and how seasons, trends and interest rates impact the homeowner as well as what indicators are considered the most reliable. No one wants to hear “I can buy more house for less money on the next block (or two floors down).” Looking for the best deal is nothing new, but how your agent reacts to it can be. In addition being experts in the condo market in and around Streeterville, our team has Realtors available to assist in differentiating your property so that it competes better in your marketplace. All of the above factors contribute to the agent’s opinion regarding the value of your home. Setting the price includes the appraised value, as well as economic factors, relationships with lenders, how quickly you might want or need to move, the perceptions and realities of the area and the current real estate market. We believe that the price that’s set for your home should be your decision, but it’s our job to provide the guidance that will make that decision an informed one. Thoroughly Clean Your Property Before an Open House. Do whatever it takes to show your house at its best. Dust furniture, scrub floors, polish wood, sweep steps. Trim dead leaves from plants, replace burned-out light bulbs, and keep counters clear of dishes or debris. Try to remove spots on the carpet. Make Your Home Smell Nice.Open the windows and air out your home. Burn lightly scented candles or fabreeze before potential buyers come to see your house, which will help to reduce unpleasant cooking or pet odors. Clean the bathrooms, and run the whole-house fan or air conditioner to circulate air and enhance ventilation. Put ferns in some rooms, as they help to absorb odors and add a natural green touch. What are the benefits of working with a Streeterville Properties Group licensed professional/ REALTOR®? We market your property to other real estate agents and the public. We can recommend repairs or cosmetic work that will significantly enhance the salability of your home. We market your property to other real estate agents and the public. In many markets across the country, over 50% of real estate sales are cooperative sales; that is, a real estate agent other than yours brings in the buyer. Your Agent acts as the marketing coordinator, disbursing information about your property to other real estate agents through a Multiple Listing Service or other cooperative marketing networks, open houses for agents, etc. The REALTOR® Code of Ethics requires REALTORS® to utilize these cooperative relationships when they benefit their clients. We will know when, where and how to advertise your property. There is a misconception that advertising sells real estate. The NATIONAL ASSOCIATION OF REALTORS® studies show that 82% of real estate sales are the result of agent contacts through previous clients, referrals, friends, family and personal contacts. When a property is marketed with the help of your Agent, you do not have to allow strangers into your home. Your Agent will generally prescreen and accompany qualified prospects through your home. We can help you objectively evaluate every buyer’s proposal without compromising your marketing position. This initial agreement is only the beginning of a process of appraisals, inspections and financing — a lot of possible pitfalls. Your Agent can help you write a legally binding, win-win agreement that will be more likely to make it through the process. We can help close the sale of your home. Between the initial sales agreement and closing (or settlement), questions may arise. For example, unexpected repairs are required to obtain financing or a cloud in the title is discovered. The required paperwork alone is overwhelming for most sellers. Your Agent is the best person to objectively help you resolve these issues and move the transaction to closing (or settlement). When you work with a Streeterville Properties Group agent you are working with the best. We take pride in the neighborhood and because we are neighborhood focused it is very important for us to create and maintain excellent relationships with the people who live and work here because they are our clients, colleagues, neighbors, and friends and as such we want the absolute best for them! Again.. Our location and visibility give us a BIG advantage in marketing your property and personally conducting all of our showings. We pride ourselves on being experts in the area. Most of our Realtors live in the community or are actively involved in community service in the Streeterville area. Your home is an important investment. Don’t you deserve to work with a brokerage that has a vested interest in the community, an expert comprehensive knowledge of the market and all that this great neighborhood has to offer? Yes! Please don’t hesitate to conact us today!